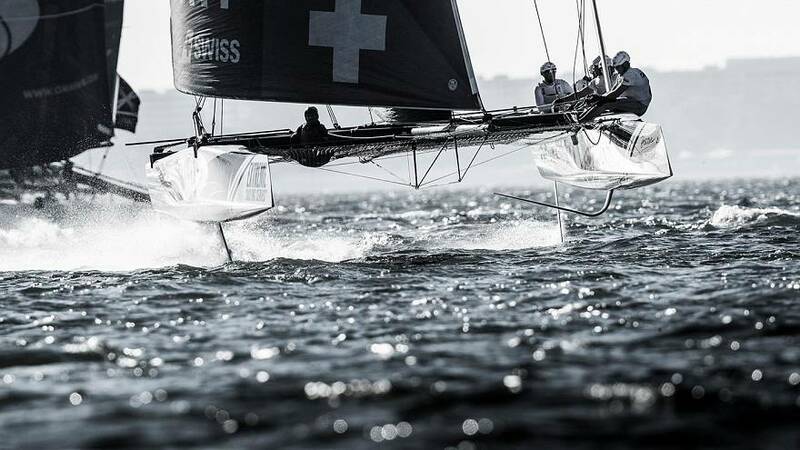 The Extreme Sailing Series will go all the way to the wire after in-form Swiss crew Alinghi won Act 7 to move just two points behind leaders Oman Air in the overall standing with one stop of the tour left. Act 7 of eight took place on the wayers of the Portugese capital Lisbon and strong winds greeted the nine-strong fleet which reached speeds of up to 35 knots. Alinghi’s victory was their third consecutive Act victory after previous successes in the Madeira Islands and St Petersburg. Over the four-day regatta two-time champions Alingha amassed a total of 252 points. Norautoo of France were ten points behind in second place while Red Bull Sailing Team of Austria rounded out the podium. Oman Air, who missed the podium for the first time in seven Acts this season – top of the Series standings on 79 points with Alinghi on 77. The eighth and final Act takes place in Sydney from 8th-11th December.